at Institut für Diskrete Mathematik. Since May, 2010, we are running a doctoral program (DK = Doktoratskolleg) financed primarily by the Austrian Science Fund (FWF), and also by TU and KFU Graz. 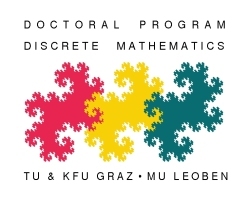 This is a joint effort of mathematicians at Technische Universität Graz, Karl Franzens Universität Graz and Montanuniversität Leoben. I am the speaker of this large project. The funding is substantial. The effective work has started in October, 2010. After positive evaluation by 6 referees, the second phase of the DK has started at the beginning of 2015. Rigth now, we are shortly before the evaluation which will decide about the second prolongation, for the third phase to begin in 2019. The preparations, including an almost 300 pages' report+application book, my own 45 minutes' presentation at the forthcoming "Hearing" in October, etc., have caused an enormous amount of work in the last 12 months. Let's keep fingers crossed for a positive outcome. See www.math.tugraz.at/discrete for more details. Journal editors who want me to REFEREE some paper, please first go to Refereeing below and read the inital text. 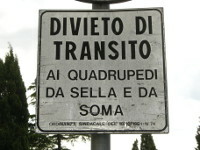 "Passage forbidden for quadrupeds with riding saddle or packsaddle"
"Geometric Group Theory, Random Walks, and Harmonic Analysis"
in Cortona (Italy), 13-19 June 2004. You can have a look at the picture gallery of that conference. "Groups, Graphs, and Random Walks"
You can also have a look at the picture gallery of this more recent conference. I was born in Vienna in 1954. I studied Mathematics at Vienna University of Technology (MSc - "Diplomingenieur") and the University of Salzburg (PhD). For 6 years (1982-88) I was Assistant Professor ("Universitätsassistent") at the Institut für Mathematik und Angewandte Geometrie of the Montanuniversität Leoben in Austria. 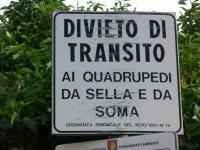 In 1984/85, I was on leave for a year at the Dipartimento di Matematica "G. Castelnuovo" of the University of Rome_I. A few years later, in 1988, I moved to Italy permanently. For 6 years (1988-94) I was associate professor at the Dipartimento di Matematica "F. Enriques" of the University of Milan, then for 4 years full professor at the same University and, in the last year, at the Dipartimento di Matematica e Applicazioni of the newly founded Universita` di Milano-Bicocca. I married in 1988, we have one daughter (born in June 1998). In September 1999 we came back to Austria. I am now a full professor in Institut für Diskrete Mathematik (new webpage under construction; formerly Institut für Mathematische Strukturtheorie) of Technische Universität Graz in Austria. From 2000 to 2003, I served as the Secretary ("Schriftführer") of the Austrian Mathematical Society ÖMG. My Erdös number is 2, thanks to Carsten Thomassen. You can look at my mathematical genealogy. You can also have a look at some pictures that I took during my 50th birthday hike in the Styrian alps, to see how nice Styria is. I also have a small photo gallery of Graz pictures for all those who might want to get an idea how the town looks like, and a photo gallery of pictures from the beautiful wine and castle hills South of Graz. Regarding more ambitious photography in a somewhat different style, see below, Photography by W.W.
On the last day of my trip to Japan in summer 2007, I prepared a small page on my Japanese travel experiences (including a few pictures). My 55th birthday hike pictures are from the Tyrolean mountains. And my 60th birthday hike pictures are from the Monti Sibillini on the border between the Italian regions of Umbria and Marche. At the conference "Boundaries and Ergodic Geometry", Notre Dame (Indiana) 2015, I took some pictures which can be found here. Curriculum vitae and List of publications (pdf files). Here are two older introductory papers (pdf) to the topic of random walks: One by myself, at a very elementary level and in German (from the book "Zur Kunst des formalen Denkens"), and the other, more advanced, by L. Saloff-Coste (from the Notices of the American Mathematical Society). From October 2002 to July 2006, I have run the project entitled "Asymptotic Properties of Random Walks on Graphs" which was funded by the FWF (Austrian Science Fund), project number FWF-P15577-N05. Funding consisted primarily of the salaries for PostDoc or PhD fellows. You can have a look at the project description and the final report (pdf files). The FWF requires final reviews from the project referees. The - very friendly - project referee has written a very nice final review (pdf file). I only have vague ideas who this referee might be, but in any case would like to express my gratitude here. From October 2006 to March 2011, I was running a second FWF project entitled "Random walks, random configurations, and horocyclic products", project number FWF-P19115-N18. Here is the (initial) project description (pdf) as well as the final report (pdf) and the project referee's final review (pdf). From May 2012 to November 2017, I have been running the next FWF project, number FWF-P24028-N18, entitled "Hyperbolic structures in stochastics, graph theory and topology". (The title is in part due to Agelos Georgakopoulos.) Here is the proposal text (pdf) as well as the final report (pdf) and the final review (pdf) of one reviewer. In the meantime, I have obtained a last follow-up project before my retirement scheduled for October, 2022. It title is "Walks and Boundaries - a Wide Range". Beginning in spring, 2019. W. Woess: Denumerable Markov Chains - Generating Functions, Boundary Theory, Random Walks on Trees , EMS Textbooks in Mathematics, European Mathematical Society Publishing House, xviii+351 pages, 2009. Once a book is published, as the author one is bound to find some mistake or misprint every time one opens it. After resisting to open it for quite a while, I just (April, 2010) found one such mistake: on page 190, the random time "bold epsilon" is not a stopping time. However, this wrong statement is irrelevant for what follows. Another little misprint was pointed out to my by Irving Glick (May, 2010): on page 16, last line, the sum should start with n=1. As more misprints will come up, I'll probably create a small sub-page with all this. Regarding the potential theoretic issues of Section 6, I found it desirable to provide some additional remarks on the Riesz decomposition for superharmonic functions that are not necessarily bounded below (pdf file). W. Woess: Random Walks on Infinite Graphs and Groups, Cambridge Tracts in Mathematics 138, Cambridge University Press, 334+xi pages, 2000. Paperback re-edition, 2008. ERRATA - Four pages of "errata" regarding various misprints and three "true" mistakes. Last updated in January, 2015. Book reviews: Mathematical Reviews (pdf), Zentralblatt (pdf), Bull. London Math. Soc. (pdf; attention - text starts on bottom of page); Acta Sci. Math. (Szeged) (pdf), Bulletin Amer. Math. Soc. (pdf), Nieuw Archief voor Wiskunde (pdf). W. Woess: Catene di Markov e Teoria del Potenziale nel Discreto, Quaderni dell' Unione Matematica Italiana 41, 165+iii pages, 1996. D. Lenz, F. Sobieczky and W. Woess (editors): Random Walks, Boundaries and Spectra, Proceedings (Graz - St. Kathrein, 2009), Progess in Probability, vol 64. Birkhäuser, Basel, 324+xxvi pages, 2011. V. A. Kaimanovich with K. Schmidt and W. Woess (editors): Random Walks and Geometry, Proceedings (ESI, Vienna, 2001), de Gruyter, Berlin, 532+x pages, 2004. 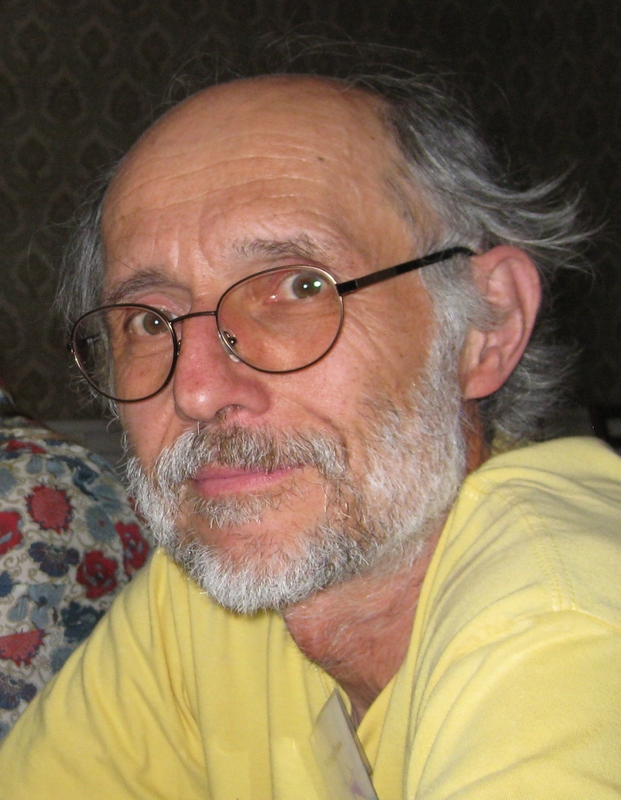 P. M. A. Grabner, W. Woess (editors): Fractals in Graz 2001: Analysis - Dynamics - Geometry - Stochastics, Proceedings (Graz 2001), Birkhäuser, Basel, 283+iii pages, 2003. M. A. Picardello, W. Woess (editors): Random Walks and Discrete Potential Theory, Proceedings (Cortona 1997), Symposia Mathematica XXXIX, Cambridge University Press, 361+ix pages, 1999. ATTENTION: for various reasons, download requires insertion of username and password. The Username: author's name. Password: author's birth town = Austria's capital. Initial letters should be uppercase. All downloads are pdf. The "Remark"s appearing in the list are popups containing some personal background. T. Hirschler and W. Woess: Polyharmonic functions for finite graphs and Markov chains, to appear in "Frontiers in Analysis and Probability: in the Spirit of the Strasbourg-Zürich Meetings", Springer. M. A. Picardello and W. Woess: Multiple boundary representations of λ-harmonic functions on trees, London Math. Soc. Lecture Notes, to appear. M. A. Picardello and W. Woess: Boundary representations of λ-harmonic and polyharmonic functions on trees, Potential Analysis, to appear. J. Kloas and W. Woess: Multidimensional random walk with reflections, Stochastic Proc. Appl. 129 (2019) 336-354. A. Bendikov, W. Cygan and W. Woess: Oscillating heat kernels on ultrametric spaces, Journal of Spectral Theory 9 (2019) 195–226. T. Hirschler and W. Woess: Comparing entropy rates on finite and infinite rooted trees with length functions, IEEE Trans. Information Theory 64 (2018) 5570-5580. A. Bendikov, L. Saloff-Coste, M. Salvatori and W. Woess: Brownian motion on treebolic space: positive harmonic functions, Ann. Institut Fourier (Grenoble) 66 (2016) 1691-1731. T. Boiko and W. Woess: Moments of Riesz measures on Poincaré disk and homogeneous tree -- a comparative study, Expositiones Math. 33 (2015) 353-374. J. Parkinson and W. Woess: Regular sequences and random walks in affine buildings, Ann. Institut Fourier (Grenoble) 65 (2015) 675-707. A. Bendikov, L. Saloff-Coste, M. Salvatori and W. Woess: Brownian motion on treebolic space: escape to infinity, Revista Matematica Iberoamericana 31 (2015) 935–976. W. Woess: Context-free pairs of groups. II - Cuts, tree sets, and random walks, Discrete Mathematics 312 (2012) 157-173. T. Ceccherini-Silberstein and W. Woess: Context-free pairs of groups. I - Context-free pairs and graphs, European J. Combinatorics 33 (2012) 1449-1466. S. Brofferio, M. Salvatori and W. Woess: Brownian motion and harmonic functions on Sol(p,q), Internat. Math. Research Notes (IMRN) 22 (2012) 5182-5218. M. Peigné and W. Woess: Stochastic dynamical systems with weak contractivity properties, II. Iteration of Lipschitz mappings, Colloquium Math. 125 (2011) 55-81. A. Bendikov, L. Saloff-Coste, M. Salvatori and W. Woess: The heat semigroup and Brownian motion on strip complexes, Advances in Mathematics 226 (2011) 992-1055. W. Huss, E. Sava and W. Woess: Entropy sensitivity of languages defined by infinite automata, via Markov chains with forbidden transitions, Theoretical Computer Science 411 (2010), 3917-3922. L. Saloff-Coste and W. Woess: Computations of spectral radii on G-spaces, Contemporary Math. 484 (2009) 195-218. F. Lehner, M. Neuhauser and W. Woess: On the spectrum of lamplighter groups and percolation clusters, Mathematische Annalen 342 (2008) 69-89. L. Bartholdi, M. Neuhauser and W. Woess: Horocyclic products of trees, J. European Math. Society 10 (2008) 771-816. D. I. Cartwright and W. Woess: The spectrum of the averaging operator on a network (metric graph), Illinois J. Math. 51 (2007) 805-830. A. Karlsson and W. Woess: The Poisson boundary of lamplighter random walks on trees, Geometriae Dedicata 124 (2007) 95-107. R. Ortner and W. Woess: Non-backtracking random walks and cogrowth of graphs, Canadian J. Math.59 (2007) 828-844. S. Brofferio and W. Woess: Positive harmonic functions for semi-isotropic random walks on trees, lamplighter groups, and DL-graphs, Potential Analysis 24 (2006) 245-265. S. Brofferio and W. Woess: Green kernel estimates and the full Martin boundary for random walks on lamplighter groups and Diestel-Leader graphs, Annales Inst. H. Poincaré (Prob. & Stat.) 41 (2005) 1101-1123, Erratum . W. Woess: A note on the norms of transition operators on lamplighter graphs and groups, Int. J. Algebra and Computation 15 (2005) 1261-1272. L. Bartholdi and W. Woess: Spectral computations on lamplighter groups and Diestel-Leader graphs, J. Fourier Analysis Appl. 11 (2005) 175 - 202. W. Woess: Lamplighters, Diestel-Leader graphs, random walks, and harmonic functions, Combinatorics, Probability & Computing 14 (2005) 415-433. D. I. Cartwright and W. Woess: Isotropic random walks in a building of type Ad~, Math. Zeitschrift 247 (2004) 101-135. W. Woess: Generating function techniques for random walks on graphs, in "Heat Kernels and Analysis on Manifolds, Graphs, and Metric Spaces", P. Auscher, Th. Coulhon and A. Grigor'yan, eds. Contemporary Math. 338 (2003) 391-423. T. Ceccherini-Silberstein and W. Woess: Growth and ergodicity of context-free languages, Transactions Amer. Math. Soc. 354 (2002) 4597-4625. V. A. Kaimanovich and W. Woess: Boundary and entropy of space homogeneous Markov chains, Ann. Probab. 30 (2002) 323-363. S. Brofferio and W. Woess: On transience of card shuffling, Proc. Amer. Math. Soc. 129 (2001) 1513-1519. N. Seifter and W. Woess: Approximating graphs with polynomial growth, Glasgow Math. J. 42 (2000) 1-8. L. Saloff-Coste and W. Woess: Transition operators, groups, norms, and spectral radii, Pacific J. Math. 180 (1997) 333-367. P. J. Grabner and W. Woess: Functional iterations and periodic oscillations for random walk on the Sierpinski graph, Stochastic Proc. Appl. 69 (1997) 127-138. L. Saloff-Coste and W. Woess: Computing norms of group-invariant transition operators, Combinatorics, Probability, and Computing 5 (1996) 161-178. W. Woess: Dirichlet problem at infinity for harmonic functions on graphs, International Conference on Potential Theory 1994, Proceedings (editors: J. Kral et al. ), de Gruyter, Berlin (1996) 189-217. W. Woess: The Martin boundary for harmonic functions on groups of automorphisms of a homogeneous tree, Monatshefte für Mathematik 120 (1995) 55-72. W. Woess: Topological groups and recurrence of quasi transitive graphs, Rendiconti Sem. Mat. Fis. Milano (1994) 185-213. M. A. Picardello and W. Woess: The full Martin boundary of the bi-tree, Ann. Probab. 22 (1994) 2203-2222. D. I. Cartwright, V. A. Kaimanovich and W. Woess: Random walks on the affine group of local fields and of homogeneous trees, Ann. Institut Fourier (Grenoble) 44 (1994) 1243-1288. S. Giulini and W. Woess: The Martin boundary of the Cartesian product of two hyperbolic spaces, J. Reine Angew. Math. 444 (1993) 17-28. C. Thomassen and W. Woess: Vertex-transitive graphs and accessibility, J. Combinatorial Th., Ser. B. 58 (1993) 248-268. D. I. Cartwright, P. M. Soardi and W. Woess: Martin and end compactifications for nonlocally finite graphs, Transactions Amer. Math. Soc. 338 (1993) 679-693. W. Imrich, N. Sauer and W. Woess: The average size of nonsingular sets in a graph, in: "Finite and Infinite Combinatorics in Sets and Logic", editor: N. Sauer et al., Kluwer, Dordrecht (1993), 199-205. M. A. Picardello and W. Woess: Martin boundaries of Cartesian products of Markov chains, Nagoya Math. J. 128 (1992) 153-169. V.A. Kaimanovich and W. Woess: Behaviour at infinity and Dirichlet problem for random walks on graphs with a strong isoperimetric inequality, Probability Theory Rel. Fields. 91 (1992) 445-466. M. A. Picardello, M. H. Taibleson and W. Woess: Harmonic measure of the planar Cantor set from the viewpoint of graph theory, Discrete Math. 109 (1992) 193-202. D. I. Cartwright and W. Woess: Infinite graphs with nonconstant Dirichlet finite harmonic functions, SIAM J. Discrete Math. 5 (1992) 380-385. M. A. Picardello, M. H. Taibleson and W. Woess: Harmonic functions on Cartesian products of trees with finite graphs, J. Functional Analysis 102 (1991) 379-400. P. M. Soardi and W. Woess: Uniqueness of currents in infinite resistive networks, Discrete Applied Math. 31 (1991) 37-49. P. M. Soardi and W. Woess: Amenability, unimodularity, and the spectral radius of random walks on infinite graphs, Math. Zeitschrift 205 (1990) 471-486. M. A. Picardello and W. Woess: Ends of infinite graphs, potential theory, and electrical networks, in "Cycles and Rays: Basic Structures in Finite and Infinite Graphs", NATO ASI Series, Montréal. editor: G. Hahn, G. Sabidussi, R. E. Woodrow. Kluwer, Dordrecht (1990) 181-196. W. Woess: Boundaries of random walks on graphs and groups with infinitely many ends, Israel J. Math. 68 (1989) 271-301. W. Woess: Amenable group actions on infinite graphs, Math. Annalen. 284 (1989) 251-265. C. D. Godsil, W. Imrich, N. Seifter, M. E. Watkins and W. Woess: On bounded automorphisms of infinite graphs, Graphs and Combinatorics 5 (1989) 333-338. B. Mohar and W. Woess: A survey on spectra of infinite graphs, Bull. London Math. Soc. 21 (1989) 209-234. M. A. Picardello and W. Woess: A converse to the mean value property on homogenous trees, Transactions Amer. Math. Soc. 311 (1989) 209-225. M. A. Picardello and W. Woess: Harmonic functions and ends of graphs, Proc. Edinburgh Math. Soc. 31 (1988) 457-461. W. Woess: Context-free languages and random walks on groups, Discrete Math. 67 (1987) 81-87. M. A. Picardello and W. Woess: Martin boundaries of random walks: ends of trees and groups, Transactions Amer. Math. Soc. 302 (1987) 185-205. W. Woess: Harmonic functions on infinite graphs, Rendiconti Sem. Mat. Fis. Milano 56 (1986) 51-63. W. Woess: A description of the Martin boundary for nearest neighbour random walks on free products, in "Probability Measures on Groups VIII" (editor: H. Heyer), Lecture Notes in Math. 1210(1986) 203-215. W. Woess: Transience and volumes of trees, Archiv. d. Math. 46 (1986) 184-192. P. Gerl and W. Woess: Local limits and harmonic functions for nonisotropic random walks on free groups, Probability Theory Rel. Fields 71 (1986) 341-355. M. A. Picardello and W. Woess: Random walks on amalgams, Monatshefte für Mathematik 100 (1985) 21-33. W. Woess: Random walks and periodic continued fractions, Advances in Applied Probability 17 (1985) 67-84. W. Woess: Aperiodische Wahrscheinlickeitsmaße auf topologischen Gruppen, Monatshefte für Mathematik 90 (1980) 339-345. In the last years, I have been the (co-)organizer of several conferences about random walks and related subjects. This conference took place in the week June 22 - June 28, 1997. It was organized by Vadim A. Kaimanovich, Massimo Picardello, Laurent Saloff-Coste and myself. You can have a look at the ps-file containing program and list of participants. The proceedings volume Random Walks and Discrete Potential Theory was edited by Massimo Picardello and myself. In the period February - July 2001, Vadim Kaimanovich (Rennes), Klaus Schmidt (Vienna) and myself have organized special semester on RANDOM WALKS at the Erwin Schrödinger Institute in Vienna. Deatils of the program can be found here. In the week June 4--9, 2001, there was a conference with this title (subtitle: Analysis - Dynamics - Geometry - Stochastics) at the Technical University of Graz, as a complement to the ESI programme on Random Walks. The organizing committee consisted of Martin Barlow (Vancouver), Robert Strichartz (Ithaca), Peter Grabner (Graz) and myself. For further informations, see http://finanz.math.tu-graz.ac.at/~fractal/. In the week 13-19 June 2004, there was a conference on "Geometric Group Theory, Random Walks, and Harmonic Analysis" in Cortona (Italy). For more information (pictures ! ), click on the conference title. In the days 16-19 June 2005, there was a Joint meeting of AMS, DMV and ÖMG at Mainz, Germany. (ÖMG=Austrian Math. Soc.) Within that meeting, a joint session on Stochastic Analysis on Metric Spaces was organized by Laurent Saloff-Coste (Cornell Univ. ), Karl-Theodor Sturm (Univ. Bonn) and myself. Main speakers at the special session were B. Driver (UC San Diego), F. Götze (Univ. Bielefeld), G. Lawler (Cornell Univ.) and K.-Th. Sturm (Univ. Bonn). In the two weeks March 12-25 March 2006, there was an RDSES/ESI Educational Workshop on Discrete Probability at the Erwin Schrödinger Institute (ESI) in Vienna. Organzers: V.A. Kaimanovich (Bremen), K. Schmidt (Vienna) and myself. Among other, there were be 4 minicourses, held by P. Diaconis, A. Gamburd, G. Lawler, and Ch. Pittet. within the EU Curie program "GROUPS: European training courses and conferences in group theory". While scientifically successful, the administrative part of this was an absolute nightmare. The money did not arrive in time, and the EU rules which we had to implement were extremely complicated and even contradictory, almost impossible to comply with. In spite of the fact that I tried to prepare it very carefully, a deficit of 1100-1300 Euro was left behind. Reasons are twofold: (1) nobody did tell me at the beginning that I can only declare costs diminuished by VAT, so we had to pay VAT on hotel bills etc., but won't get it back; (2) since the money for the workshop had not arrived in time, it was suggested to me to ask for interim funding from my university, but nobody told me then that the university takes away interests for this loan. Almost all EU projects come along with an overhead from which one can pay such amounts, except for this type of activity (European conferences and training courses). The whole story has been turning me from an "EU-Paulus" into an "EU-Saulus". Apparently, EU burocracy is like an alien that we are unaware of, breeding in our stomach. When the stomach explodes and the alien emerges, it is not the slimy monster of the movies, but has the appearance of a clerk from some Kafka novel. Workshop "Analytic enumeration methods in combinatorics, probability and number theory"
Spring school "Discrete probability, ergodic theory and combinatorics"
Courses by Geoffrey GRIMMETT, Jeff STEIF, Anders KARLSSON, Michael BJÖRKLUND"
Focussed meeting: "the shape of branching random walk and related topics"
Talks by Steve Lalley (Chicago), Francois Ledrappier (Paris) and others. Unfortunately, the seminar webpage is no more available. Invited talks by Mathias Beiglböck (Vienna) and Rudolf Grübel (Hannover). I have acted as the referee for more papers (and some books) than I have published myself. Transactions of the American Mathematical Society. From 1990 to 1999 I have served as an Associate Editor of the journal ``Circuits, Systems and Signal Processing'' (Birkhäuser). In 2007, I have acted as a referee in the evaluation of the Mathematical Insitute of the Slovak Academy of Sciences. Please see the relative informations on TUG online. In February 2000, Austria's (at the time) new government, a right wing coalition between Christian Democrats and the (so-called) Freedom Party had led the country into a tempest of national and international criticism and worldwide isolation. This had a particular impact on the scientific comunity, whose work is based on international exchange and cultural openmindendness. This is why, after those events, I had included my personal considerations on Austrian politics in my scientific homepage. The original text (in particular the one regarding the so-called "sanctions") is now really out of date, so I removed it at last. As a matter of fact, while probably most Austrian colleagues considered this a peculiar thing to put on my webpage, I had quite a bit of positive feedback from abroad. Subsequently, Austria has disappeared from most international news, and there have been only few news flashes reporting that after only two and a half years, and a full year before the end of its term, the government had collapsed in autumn 2002 because of a major crisis within the Freedom Party. Since 2003, the same coalition was back to power again, but with the Freedom Party down to 10% instead of the previous 27%. Since 2006, after the Freedom Party has disassembled in two pieces, they had been no more represented in the government, and we were back to the "big coalition" between Social and Christian Democrats, even though these two parties appear to hate each other profoundly. However, in the meantime, the Freedom Party under its new leader has gained votes, and contrary to 2000, it is nowadays "normal" that the right wing is successful on the basis of agressive populism in most democratic countries. Since 2017, we have again the coalition between the Chrsitian Democrats and the Freedom Party. People seem to be happy: the coalition partners do not quarrel. My conclusion is a pessimistic view on the "wisdom" of the sovereign, i.e., the voter: no matter whether there is corruption, illiberal democracy and so on - if the surface appears quiet and peaceful then the majority is happy. They are just happy not to hear about all those things which in a critcal and free environment would become visible. I repeat: I'm not at all convinced that I'll be able to conclude my days without witnessing some new political repressions, of course with different appearance than in the 1930s and 40s. This was the title of an almost forgotten movie by "Talking Head" David Byrne. I also have some true stories to tell, regarding Kafkaesque adventures with bucrocracies and politics in different countries, notably Italy and Austria. My father, Friedrich Woess, was Professor at Universität für Bodenkultur, Vienna. He was also gifted in painting (mostly water color). He left about 850 pictures, 99% are landscapes. I have organized a show of some of them in Summer, 2002. There was another show in Summer, 2006 (originally planned for 2005). You can have a look at some of his paintings: those from the exhibition in 2006, and others: part1, part2, part3, part4, all four from two booklets with reproductions from the 1990ies, and Greece 1979. You can read an accompanying text (in German), and find the announcement of the abovementioned first exhibition in 2002. My mother, Elisabeth Woess (1917-2001) was also a university professor, at the Institute of Botanics of Vienna University. You can see a few late photographs of her and read an obituary (pdf, in German) that appeared in Verh. Zool.-Bot. Ges. Österreich 138 (2001) 275-278. A posthumuous publication has appeared in Plant Systematics and Evolution 258 (2006) 27-37. It has a small background story: my mother had continued her research work until a week before she passed a way at the age of 84. This was supposed to become a joint work with a Professor in Florida of Hungarian origin who years before had sent her specimen of an antarctic lichens to be studied and classified. In the last year of her life she often expressed sadness about the fact that she had finished her part of this work, but her colleague would not complete it. (Indeed, he had retired, too, and had no more laboratory access.) I found the manuscript and drawings in the material that she left behind, and managed to convince the director of the Botanical Insitute in Vienna to take care of its publication. It was carefully revised and re-edited. See in particular the Comments and Acknowledgements at the end of the paper. Starting with 1979, I became active in the world of auteur photography (Autorenfotografie), thanks to the photographer Kurt Kaindl from Salzburg. Through him, I also got involved in the foundation of the gallery Fotohof in Salzburg. Until 1984, I produced several series of black-and-white photographs; after that I turned mainly to colour (the latter without printing myself). In the 1980ies I had a good number of exhibitions in different locations. After several dissappointments in the photography scene, an since I had moved to the University of Milan in 1988, I have been active with varying commitment and only privately. I have now started to create a separate page with my work in this type of photography: Fotoseite Wolfgang Woess. Link new homepage of the Institute of Discrete Mathematics (still under construction). Link to the old homepage of Institut für Mathematik C.
Last modified on April 19, 2019.